You might have mysql on strict mode, or stricter version MySQL, it might be that warning are set high. 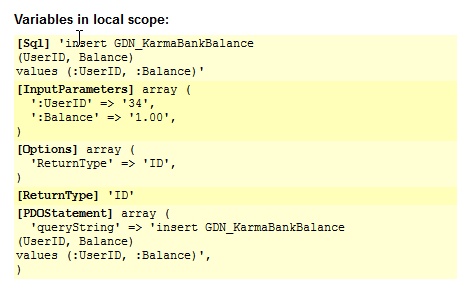 It should automatically put the default value 0 with integer, when not null otherwise. The default value should be 0, so it can increment from that. I will put it in next release but it is so small a change it is worth releasing on it own. I did that and 0.00 as it is a decimal and i even did 1.00 all have the same result and error. try to change Null to yes. No go. I even tried to change "as defined" to none. I do not see that column, should I create a new one? This looks right, but it still part of the error. 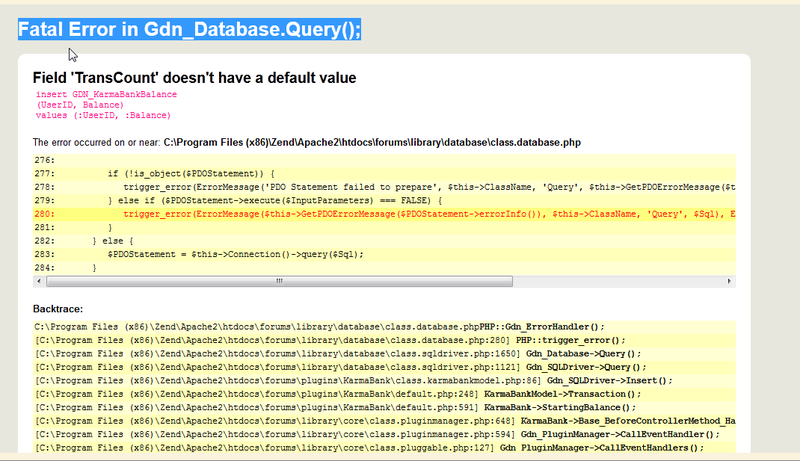 in My config I set it to 1 (so it shouldnt be 0, only database has 0 like you said to do). set what to 1? the balance is something else. Awesome job thanks mate! Both of them work without a any issues. I appreciate all your work. well for pagination to work correctly TransCount default need to be 0. It was perhaps an ill conceived name but there you go.